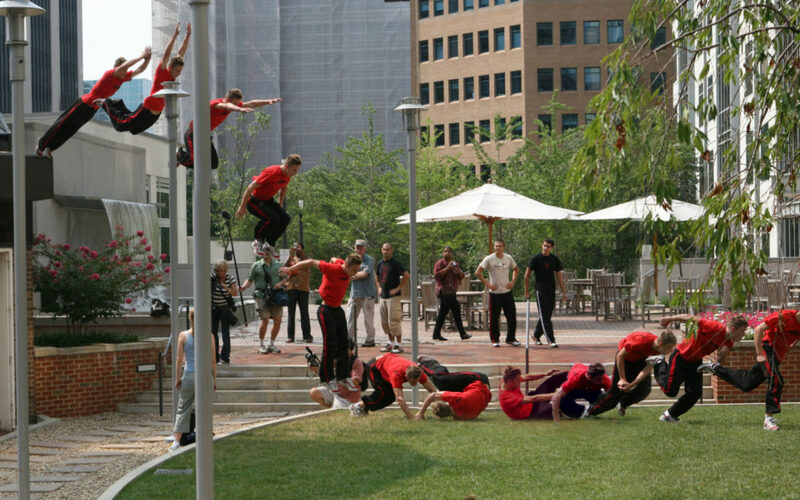 In his teens and early 20s, Levi Meeuwenberg was flipping off of walls, somersaulting over railings, and performing impossible stunts across the US as a professional parkour and stunt man. His extraordinary acrobatic skills helped him land gigs as a parkour dancer on one of Madonna’s World tours, as a star competitor on Japan’s Sasuke Ninja Warrior, and even as a stunt man in The Avengers (he briefly doubled Captain America) and in the movie The Bourney Legacy (he doubled Jeremy Renner)! But after all of this success, Levi grew disillusioned with his parkour career and decided to pursue a lifestyle that he felt could produce something of more lasting value. Enter: permaculture. Leaving his parkour career behind, Levi developed a deep concern about climate change and discovered permaculture — the development of self-sustaining agricultural systems. Levi moved back to his hometown in Michigan and applied his new love for ecology and sustainable living, and has since become successful enough to share his knowledge with others. Supplementing his permaculture lifestyle with his own web design business, Hog the Web, Levi is on a mission to show other Americans the importance of living sustainably in communities in which neighbors not only regularly support one another but also eschew the trappings of so-called successful lives in order to build truly happy lives.